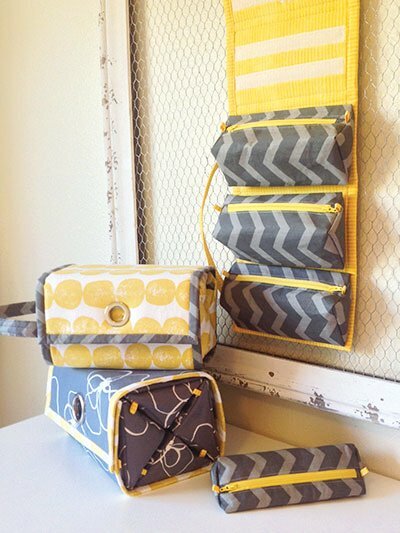 Organize all your sewing supplies in this fun Rollie Pollie organizer. Great for traveling to class. The Rollie Pollie features 4 detachable, zipper pouches that roll up into a secure little package.